Meaningful Work in 2013 — Watershed Productions Inc.
Watershed Productions has worked on some really cool community based projects so far this year. Check out the latest videos on the CLIENT VIDEOS page here and read more about the social change we are supporting with our work at Watershed Productions. Watershed Productions worked with Trail BC’s Skills Centre and Women Creating Change to address the barriers that are currently happening in the region related to women and economic security. This video utilizes PhotoVoice to tell the personal stories of the women being directly impacted by poverty in the Lower Columbia Region. Watershed created the video for the Nelson’s own EcoSave program. EcoSave Energy Retrofits Program has been designed to simplify the process for homes and businesses to reduce energy consumption and lower greenhouse gases within the community.This program has been established as a key strategy in the City of Nelson’s Low Carbon Path to 2040, Community Energy and Emissions Action Plan. Visit the EcoSave website to learn more. 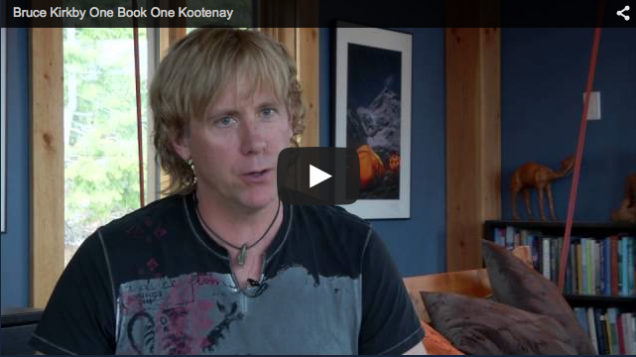 We made a series of videos profiling the three One Book One Kootenay nominated authors: Deryn Collier, Anotnia Banyard and Bruce Kirkby. With leadership from the Kootenay Library Federation One Book One Kootenay celebrates the work of the wonderful writers living in the Kootenay Boundary. Posted on August 22, 2013	in Events, Filmmaking, Resource. Bookmark the permalink.